Program is available to ALL students at NO COST*! *No cost for Medicaid insured and Grant Recipients. How do services at School Smiles work? School Smiles will ship a box of patient forms directly to you which should be distributed and sent home with all students. 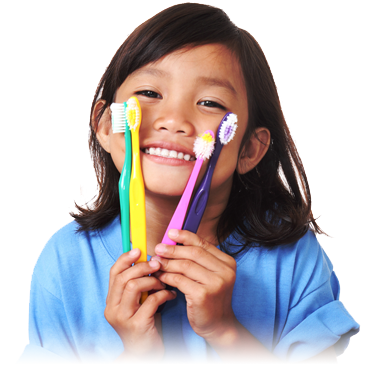 Parent/guardian wanting their child seen by the dentist simply completes the paperwork and returns it to school. School Smiles will coordinate collecting the returned forms from the school. Our staff will contact parents prior to each appointment to confirm the date/time their child will be seen by the dentist. We also contact parents after the appointment to review any restorative treatment their child may need and obtain any additional consent that may be required. School Smiles dental team arrives at the school and setups inside the school in the designated area selected by the school. One-by-one the children are retrieved from the classroom and brought to an on-site clinic for their appointment. The following procedures will be performed on the initial appointment date: X-Rays, Comprehensive Exam, Cleaning, Fluoride Treatment, Sealants (as needed). During the initial appointment a treatment plan is created by the dentist for children needing additional follow up dental services such as; restorations including fillings and crowns, as well as extractions. School Smiles will return to the school to provide the additional restorative care and we will coordinate a date with the school that is acceptable. Children to receive restorative care are scheduled for the next appointment date for completion of the additional treatment, as needed. At minimum School Smiles will attempt to visit each school twice a year to provide 6-month dental checkups for children enrolled in the program. Scheduling; prior to our arrival School Smiles will provide the school with a list of students scheduled to see the dentist. We will avoid scheduling children during lunch, recess and other time blocks we are made aware of. Electronic patient records are stored securely through our web-based encrypted practice management software. School Smiles provides each child (parent/guardian) with after-hours emergency call center information. School Smiles is available to attend back to school nights, school registration days, health fairs, classroom presentations, and other opportunities to educate children and parents/guardians about our services and the importance of oral health. Less than 5% of our patients with treatment consent on file need referred to an outside dentist because WE provide the comprehensive dental care they need! !